Add some nautical style to help you sail through the day. 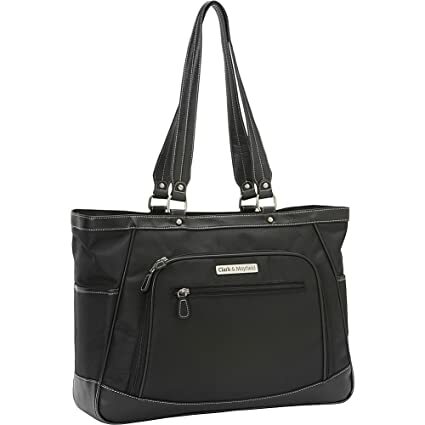 This 17.3″ laptop handbag allows extra stowaway room for lemonade, sunglasses and that 200 page report. 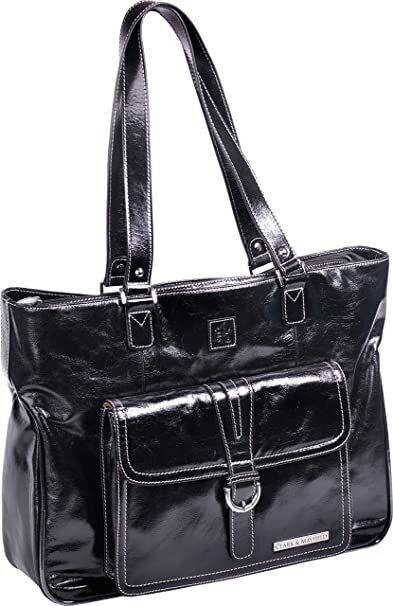 STFP01 Clark & Mayfield Stafford Pro Leather Laptop Tote 15.6"
Shift from clientele to cocktails with this professional 18.4″ laptop handbag with coordinating clutch. Plenty of room for yoga pants and your 5th grader’s art project. Timeless with a Twist – This perfect counterpart loves organization, business travel, celebrity tabloids and unexpected nights on the town. Confident and clever enough to conceal a 17.3 laptop compartment. With unabashed style outside and modern values inside, the Stafford is business mixed with pleasure. 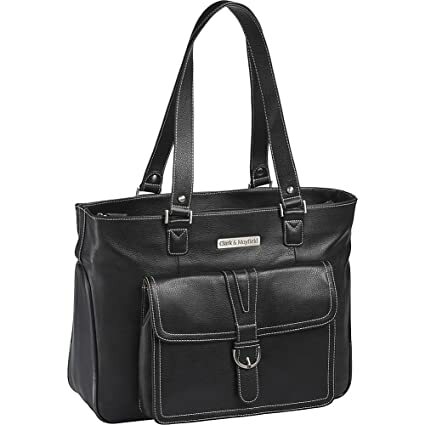 The Sellwood Metro’s comfortable fit keeps you at the top of your game while securely carrying your 17.3 laptop, lip gloss and daily reports. Our first-ever rolling bag is not only extremely cute but also full of useful pockets so you don’t lose your keys again. The genuine leather and fun striped fabric interior will bring a smile to your face, even when your boss and clients aren’t. 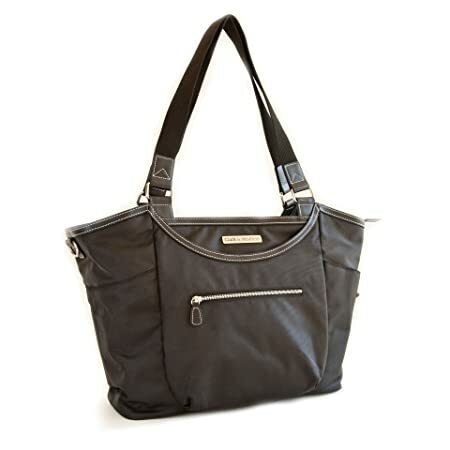 This is the perfect bag for everyday or for a night away. 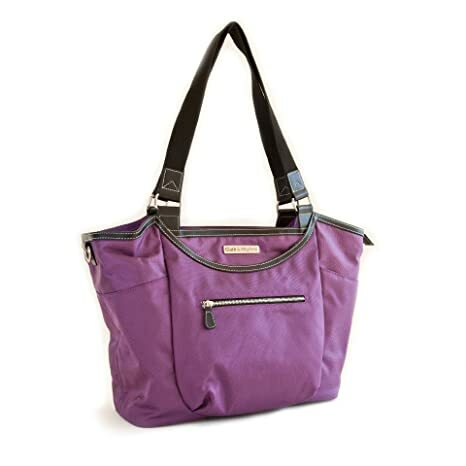 Features luxurious leather body, trim, and handles, a durable and light aluminum frame and protective rubber coating on the bottom. 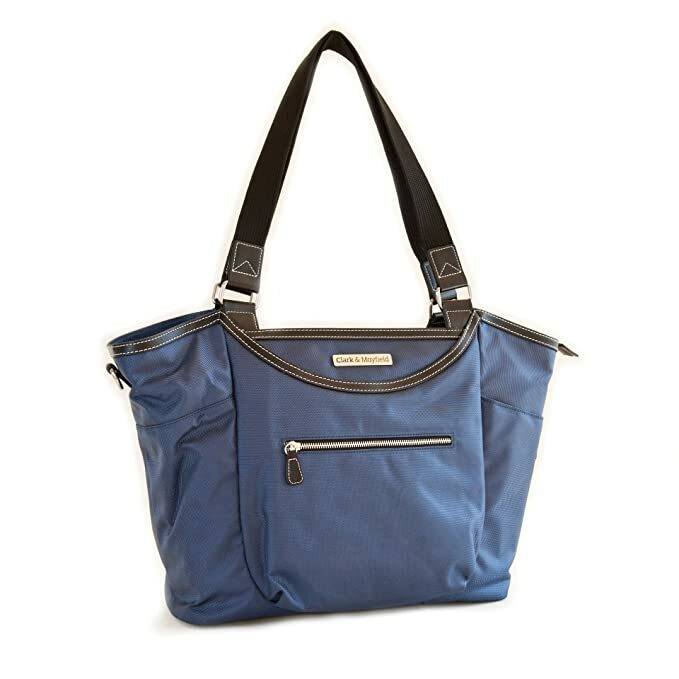 Features an expandable file section, multiple pockets within three main compartments, retractable handle for easy rolling, a cell phone/ PDA compartment, pen holders and a retractable padded striped laptop sleeve. 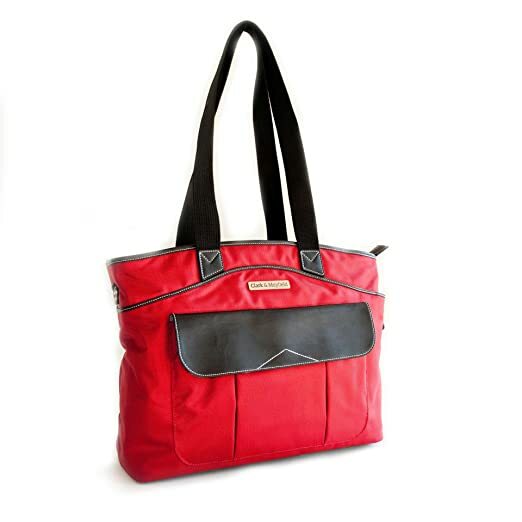 Fits laptops up to 17″. 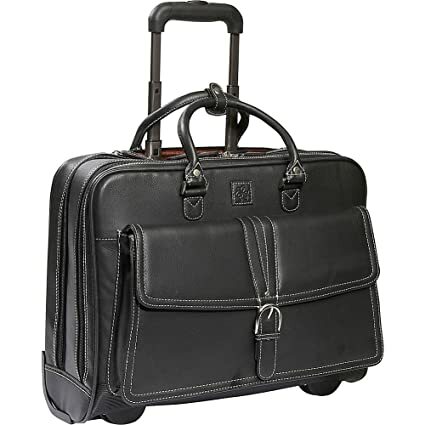 This is the perfect assistant — Holds everything while making you look good and feel confident. Poised with impeccable style, the Stafford Pro Protects your 15.6″ laptop at all costs and organizes the details you dont have time for. Hang on tight…. Good help is hard to find! 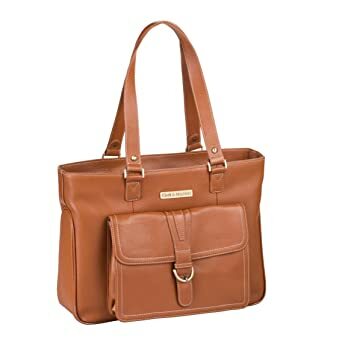 An Urban Explorer reminiscent of a vintage safari satchel – this refined 18.4″ laptop handbag asserts complete order and timeless fashion with ample space for your afterwork flip flops and sunscreen. 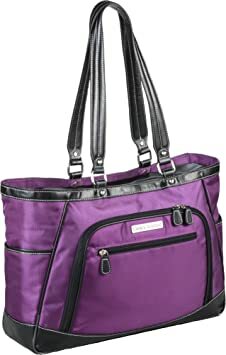 CM-SR01 Clark & Mayfield Women’s Stafford Rolling Laptop Tote 17.3"
The Sellwood Metro’s comfortable fit keeps you at the top of your game while securely carrying your 17.3″ laptop, lip gloss and daily reports.